Those who say Singapore is an expensive country may be right or wrong, depending on their itineraries! Travellers come in all pocket sizes. 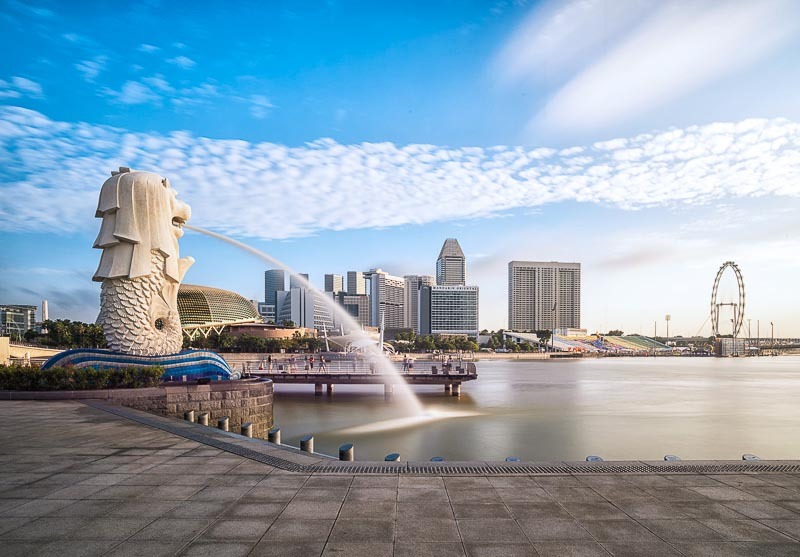 While it’s true that Singapore is a more expensive country compared to its neighbours, it’s also true that you can absolutely have a budget weekend in Singapore, even if it’s your first time visiting the country. But, how? 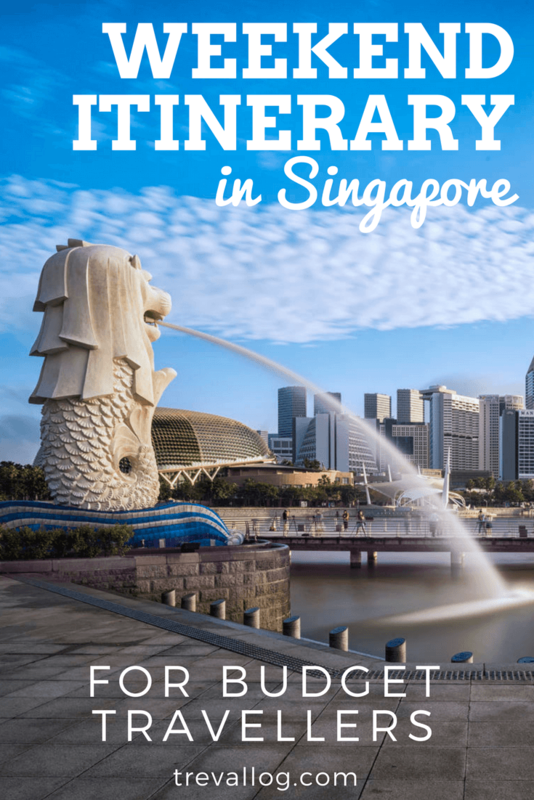 Here is my recommended itinerary for budget travellers visiting Singapore over the weekend. This itinerary cover MUST-VISIT places of interest/attractions that don’t burn a hole in your pocket. I’m assuming that you arrive in Singapore on Friday night and leave the country on Sunday night. 8.30pm: Purchase your SIM Card at the airport. Read: Best Prepaid SIM Card in Singapore. For cheap local food in Changi Airport, visit either of the following: Ya Kun Kaya Toast at Terminal 3 Basement 2 (I love their kaya butter toast! ), Terminal 3 Kopitiam at Basement 2, Terminal 4 Food Emporium at Level 2M, Terminal 2 Staff Canteen at Level 3M, and Terminal 1 Staff Canteen at Basement 1. All of these are located in Public Area, which means that you need to clear immigration and come out from arrival gate first before heading to these food courts. 10.30pm: Check-in hotel and call it a day. 7.00am: Wake up. Get ready to go out. 9.45am: Explore Pagoda Street and browse for souvenirs. 10.00am: Either walk to The Pinnacle @ Duxton or take MRT to Outram Park then walk to Pinnacle @ Duxton. (Price: SGD 1.5) -> You can skip this part if the timing is too tight. 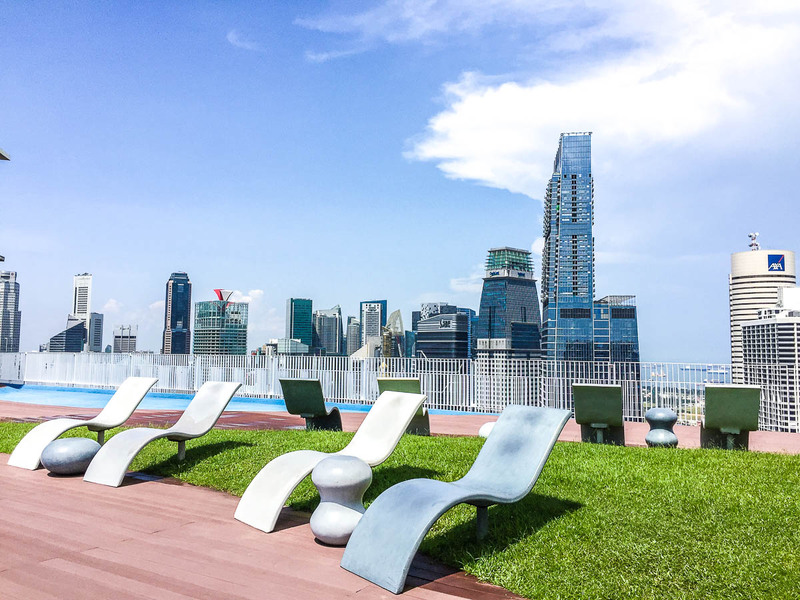 10.30am: Enjoy Singapore’s skyline view from Pinnacle’s rooftop at 50th storey. (Opening hour: 9am-9pm. Price: SGD 6) -> You can skip this part if the timing is too tight. 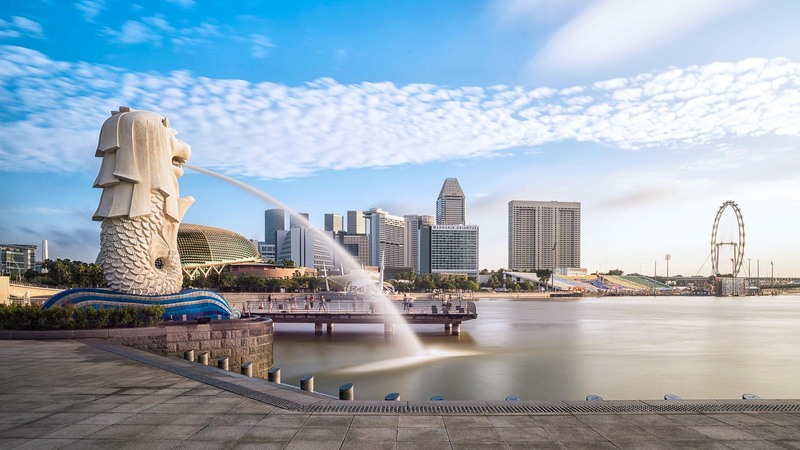 1.15pm: Admire the iconic Merlion and the beautiful Marina Bay waterfront area. 1.45pm: Walk to Marina Bay via Esplanade and Helix Bridge. 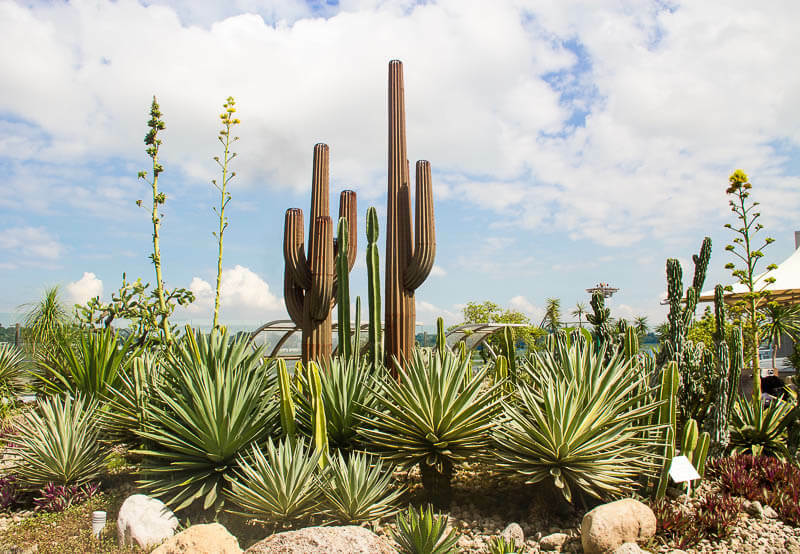 3.00pm: Explore Gardens by the Bay. Remember your sunscreen. 6.30pm: Walk to Marina Barrage and spend some quiet time there. 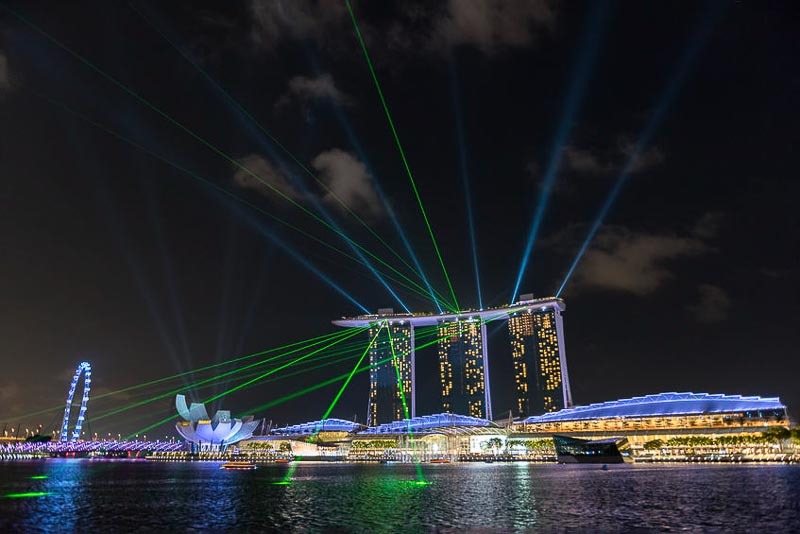 8.00pm: Walk leisurely to Marina Bay Sands. 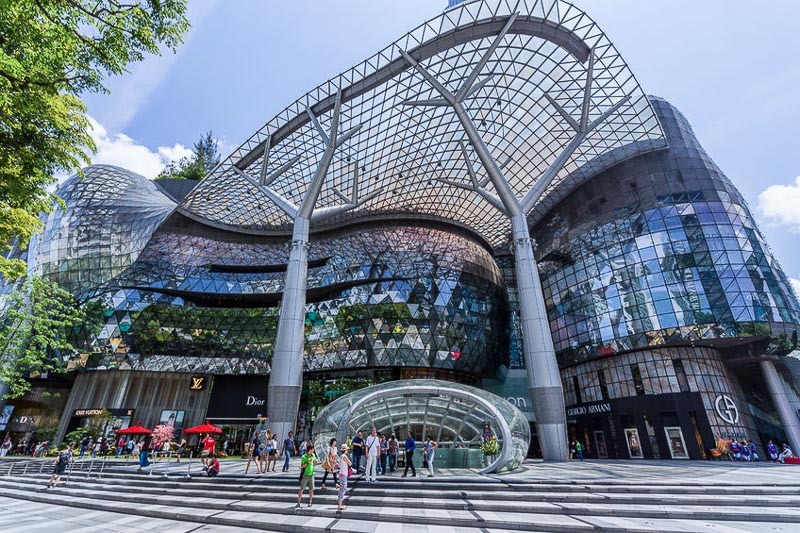 Explore Marina Bay Sands Hotel and Shoppes, they’re two different buildings. 8.45pm: Be seated along the promenade (near Louis Vuitton). 9.30pm: Chill out. Watch the river. It’s therapeutic. Optional: Have a supper at Makansutra Gluttons Bay located next to Esplanade (Price: 10). 7.00am: Wake up. Check out from hotel but keep your bag/luggage with receptionist. 11.30am: From Tanglin Gate, walk along Tanglin Road towards Orchard Road. 12.15pm: Have lunch at Orchard Road. There are so many food choices in Orchard. My favourites are Ayam Penyet Ria (Basement 1 at Lucky Plaza), or My Favourite Café Yong Tau Foo (Level 6 at Lucky Plaza). Price: SGD 7. 2.30pm: Head to Bugis Street for souvenir shopping. 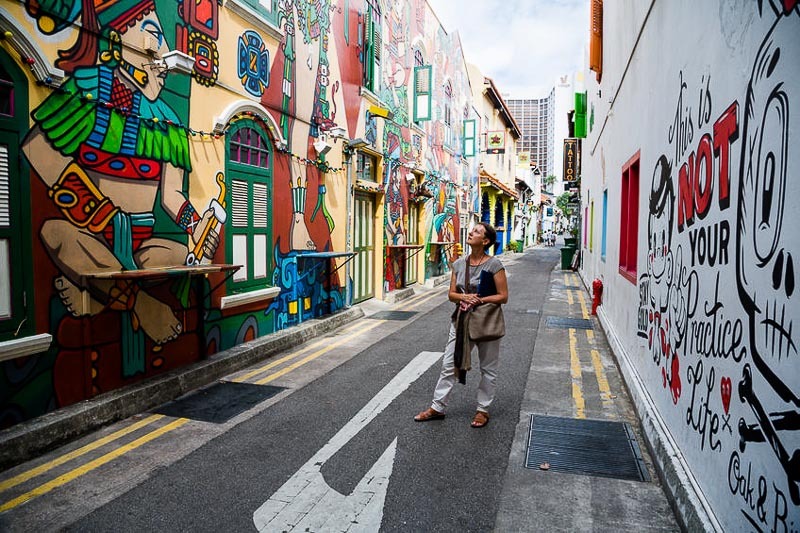 3.00pm: Head to Haji Lane and Masjid Sultan for some Insta-worthy selfies. 6.00pm: Check-in for your flight. 8.00pm: Fly out of Singapore. For budget travellers coming to Singapore, I think hostels are your best bet because Airbnb is not really legal in this country. 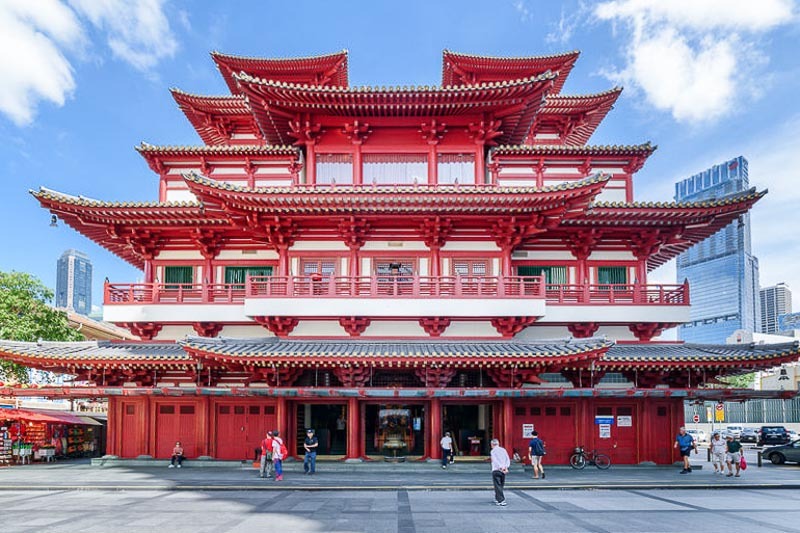 Here are my recommended hostels in Singapore. Location: short walking distance from Rochor MRT; Bugis is 8 mins away by foot (600m); and Little India is 7 mins way by foot (500m). Pros: huge lockers, MRT at doorstep. Bed types: 6-bed dorms, 8-bed dorms and 16-bed dorms. Location: 6 mins walk (450m) to Nicoll Highway MRT, 8 mins walk (650m) to Bugis MRT. Pros: nicely designed pods, free breakfast (wide variety of food to choose from). Bed types: single pod in dorms, single pod suite, double pod in dorms, double pod suite. Location: 4 mins walk (400m) from Chinatown MRT. Pros: quiet rooms, built-in lockers in the cabin, at the heart of Chinatown. Bed types: single suite cabin, single cabin–female, queen suite cabin–female only, king suite cabin–mixed. Location: 7 mins walk (500m) from Lavender MRT. Pros: free coffee and tea 24/7, free breakfast in the morning. Bed types: 6-bed dorms, 8-bed dorms, 8-bed female-only dorms. Location: 2 mins walk (200m) from Chinatown MRT. Pros: located at the heart of Chinatown, comfortable sleeping pod. Bed types: 4-bed dorms, 4-bed female-only dorms, 8-bed dorms, sleeping pod. Location: 2 mins walk (200m) from Jalan Besar MRT, 9 mins walk (650m) from Rochor MRT, 11 mins walk (950m) to Bugis MRT. Pros: queen-size beds available, free breakfast, coffee, tea and water. Bed types: 6-bed dorms, 8-bed dorms, 16-bed dorms. Accommodation: 2-night stay = Approx. SGD 40. Attractions: SGD 0. If you decide to go for my recommended attractions, you’ll spend approx. SGD 40. Total: SGD 110 (excluding flights). Q: Your itinerary includes a lot of walking. But I hate walking and prefer to take public transport, can I still save money? A: Totally. Just purchase Singapore Tourist Pass (SGD 20 for 3 days), you’ll get unlimited rides on MRT and buses. Q: I have an extra SGD 50 to splurge, what do you recommend? 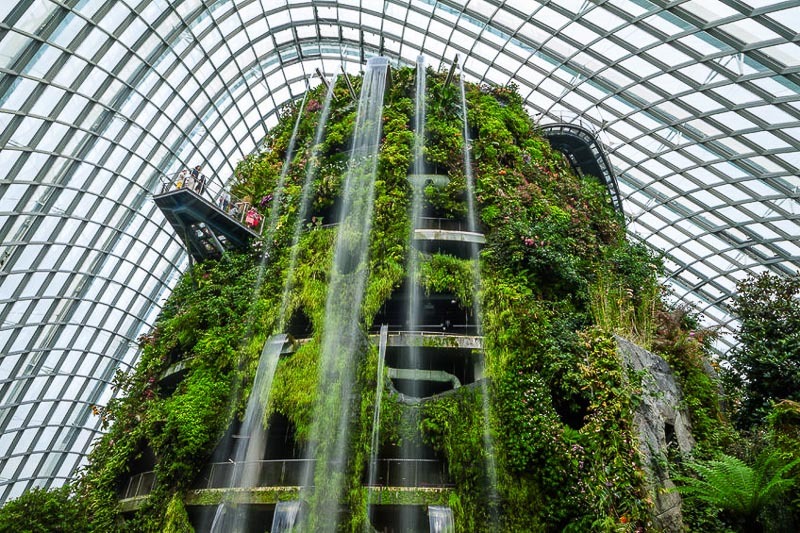 A: Gardens by the Bay conservatories (SGD 23), Marina Bay Sands Skypark (SGD 24), Singapore River Cruise (SGD 23), S.E.A. Aquarium (SGD 35), eat durian! Q: I have an extra SGD 100 to splurge, what do you recommend? A: Universal Studios Singapore, eat chilli crab at JUMBO Restaurant. 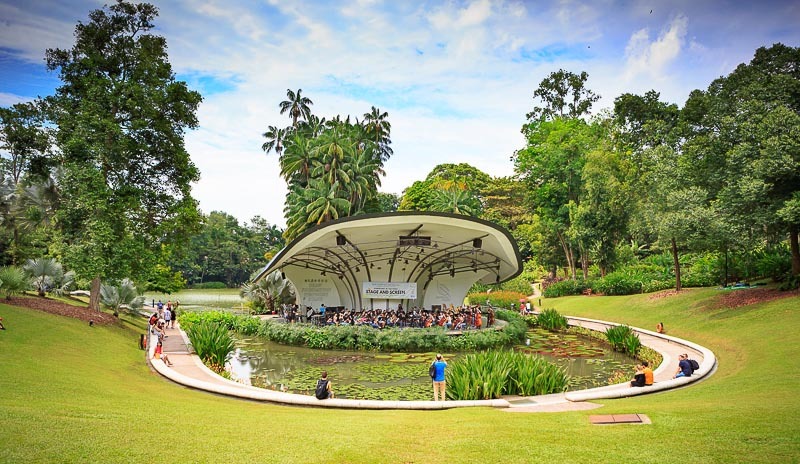 If you are planning a visit to Singapore and you have any questions about planning for your trip, maybe I can help! I offer free trip planning for my readers! If you love what I write on this blog, I recommend that you subscribe to my blog by filling the form below! You’ll get travel inspiration, tips, stories, updates for latest post and free planning resources that are only available for my subscribers. ← Malindo Air Business Class: OMG, We Flew Business Class for the First Time!